The Key - sometimes called 'ckm key' is an access key allowing the post to be verified by CAKE as being sent from an approved source. 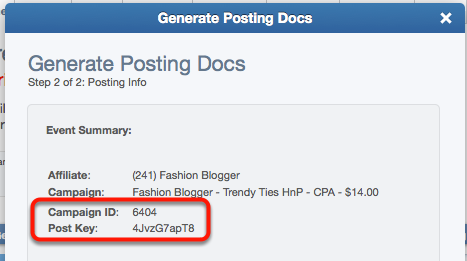 The campaign ID and the key are the first two fields displayed on any CAKE posting doc for the server post method and the only ones required without marking any additional fields required. The posting document outlines which fields are supposed to be passed into CAKE and in what format. The values for the campaign ID and ckm key can be found on the campaign card (see below). 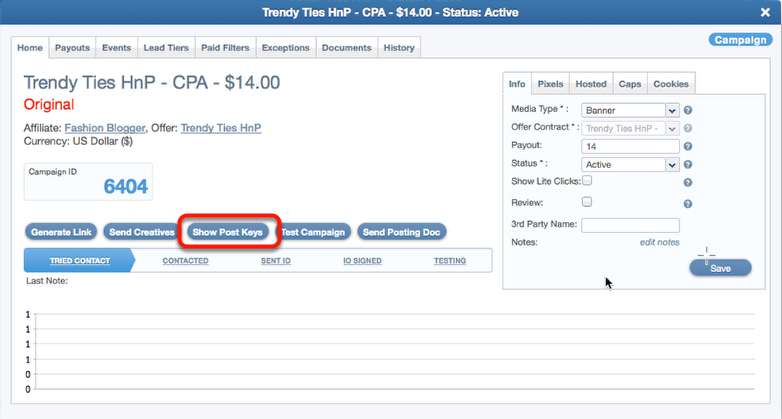 You will find a campaign's post keys on the campaign card using the Show Post Keys button. The campaign ID can additionally be found on the front of the campaign card underneath the campaign name and breadcrumbs. 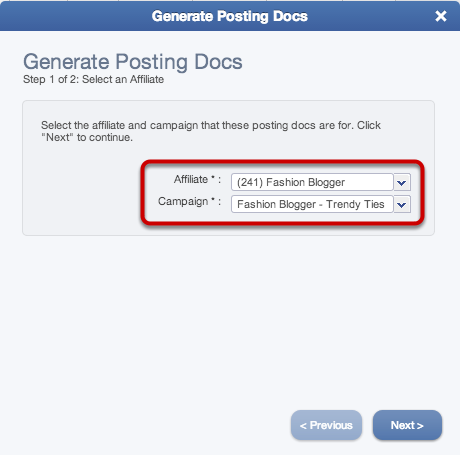 The first step should prepopulate both required fields for the affiliate and campaign name as you are taking this step from the campaign card itself. Verify that these values are correct and click Next. The post keys will be shown on step 2 of the wizard. These values can be copied and pasted and sent to an affiliate manually, or using the Send Posting Doc button will include these values in the posting document email template that is sent to the affiliate through CAKE. 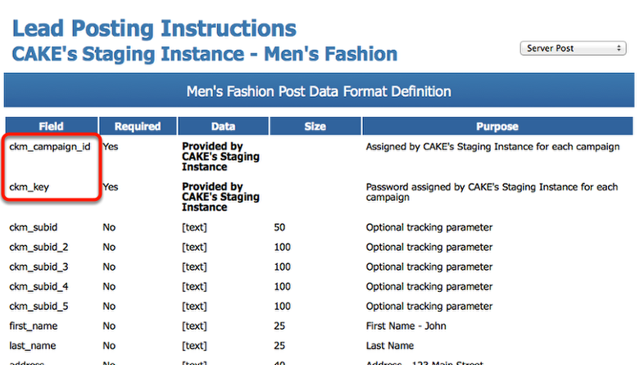 With these values, the affiliate has everything they need to server post leads into CAKE. Please remember that the requirements for a browser post are slightly different and do not require these post keys.